ARE YOUR CAMPERS UP FOR A CHALLENGE? 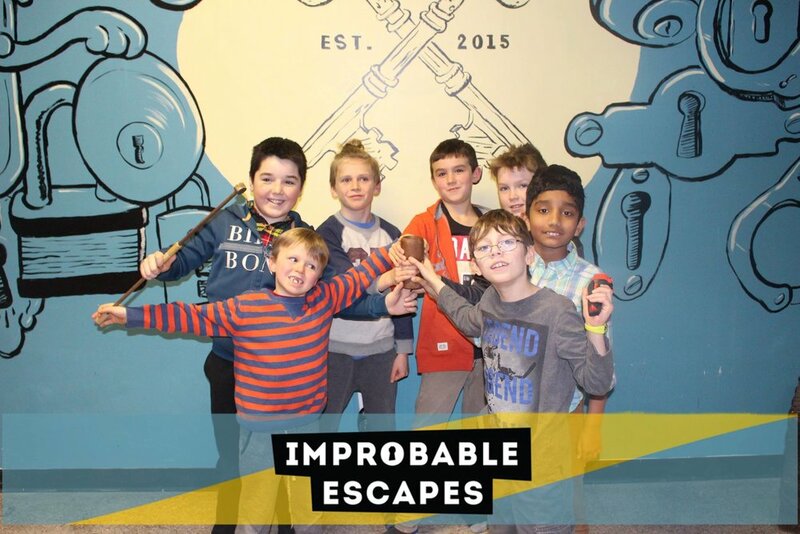 Trips to Improbable Escapes are educational and fun experiences that allow campers to bond, learn about each other, and often learn about different topics. These are often some of the most memorable moments during a summer camp. Let's help make your camp a memorable one! There's adequate space for campers to eat their lunches and snacks while in our facility if the entire facility is booked out. Why choose Improbable Escapes for your next camp activity? Organize your teams and mix campers in a strategic way. Allow them to build stronger relations with other campers that they may not necessarily interact with otherwise, or may not know yet! New perspective is gained by campers while playing escape room games at Improbable Escapes. They interact with different stories and ideas, which force them to think outside the box. Escape rooms allow for variety outside of routine camp activities. 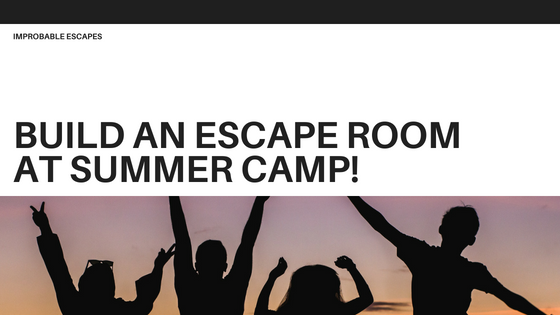 Instead of typical camp activities, bring your campers to an escape room for a safe and adrenaline filled adventure! The Improbable Escapes team has a very vast educational background (i.e. Communications, Biochemistry, Psychology, Computer Science, Art, Firefighting, Industrial Electrical Engineering Tech and more). We're always happy to talk to campers about various education paths that lead to working in a very creative industry. Escape rooms force students out of their shells and to communicate with each other in a new environment. 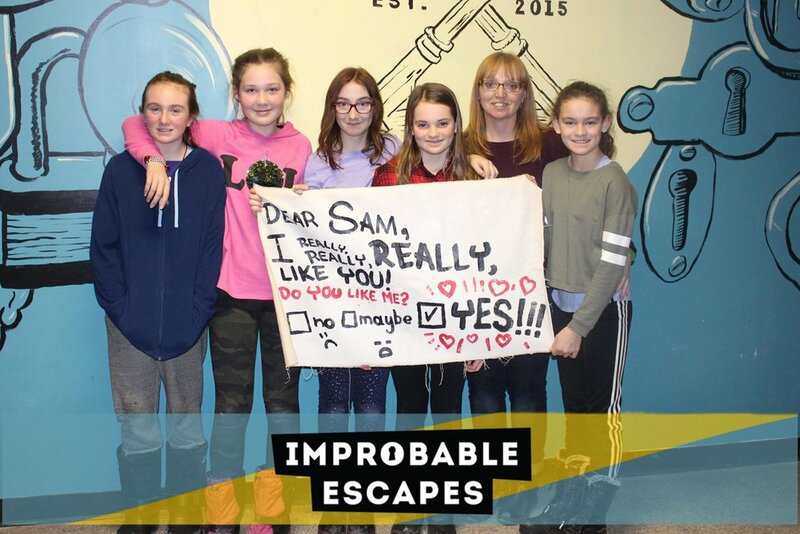 During an escape room, they can connect on a personal level that may not be possible to replicate at camp! This summer, we have an exciting game at the Military Communications and Electronics Museum! Learn about Camp X, which was a Second World War British paramilitary installation for training covert agents... aka spies! See some real artifacts from Camp X, while proving that you can graduate from Spy School. This game takes place inside the museum, while looking at multiple different exhibits. Please note: this game can accommodate up to 40 players at one time. Learn more about the Camp X game here! Learn more about Camp X. Interested in building an escape room with your campers? We can help! One of our game developers can come to your camp and help create puzzles with your campers. This teaches them about different topics in fun and engaging ways. The Improbable Escapes team has traveled throughout North America lecturing and giving talks on learning through gameplay, so we're very experienced in helping people learn through playing puzzles. Please contact us for a quote.